G.K. Tea Industries - The Tea Machinery people! G. K. Tea Industries - formerly G.K. Tea Industrial Corporation which was incorporated in the year 1968. 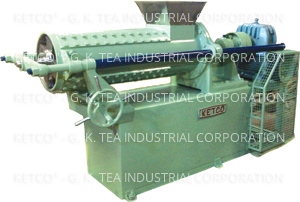 The tea machinery manufacturing facility was set up in Howrah, West Bengal which was the Industrial hub of India at that time. Company's administrative office is conveniently located in the business district of Kolkata. 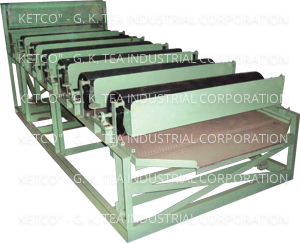 Our brand "KETCO" is established in the Tea Industry. 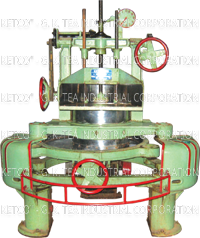 We are one of the leading Exporter / Manufacturer of CTC, Orthodox & Green Tea Machines like - Tea Roller, Rotorvane, Ketco Khari Sifter, Balanced Green Leaf Sifter, Sorting machines - Jumbo Fiber Extractors, Trinick Sorter, Circular Sorter, Arnott Tea Sorter, Andrews Tea Breaker, Green Tea Roasters, Green Tea Panners, Tea Blending Machine, Sack Packing machines, Magnetic Separators - for both CTC & Orthodox/Green tea. Our Green Tea Roaster and Baby Boilers are also very popular. 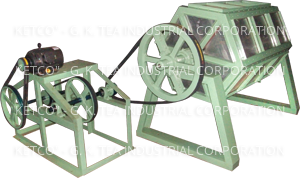 We have been catering to the top Tea manufacturing companies in India and our Tea Processing & Tea Blending machines have been a huge success in India & overseas. The new "Ketco Khari Sifter" designed, developed and successfully commissioned for Khari leaf extraction and re-processing has been a huge success. The machine is capable to extract Khari's from fines resulting in quality tea production and at the same time saving a lot of work/time in the sorting room. Here is the latest model of "Ketco Khari Sifter" designed, developed and successfully commissioned for Khari leaf extraction resulting in increase in value of Primary Tea. 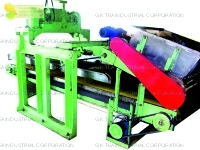 This machine has been a huge success in factories who process Dual Leaf - own Garden Leaf & Bought Leaf. The machine is capable to extract Khari's from fines resulting in quality tea production and at the same time saving a lot of work/time in the sorting room. Over 30 units of the previous model are working successfully with fantastic results at Corramore T.E., Pertapghur T.E. Kettela T.E. , Dirai T.E. & Borengajuli T.E. in Assam (McLeod Russel India Limited factory). Two Units are also working in Mathura T.E, Jalpaigur, West Bengal. Other units iin operation at Ankole Tea Estate & Kiko Tea Estate, Uganda, (Mcleod Russel Uganda Limited - gardens). Gisovu Tea Estate - Rwanda.